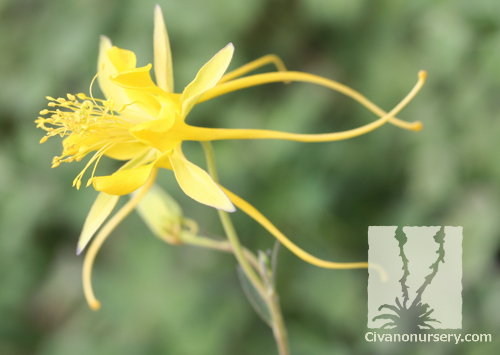 Golden columbine is an Arizona native with one of the most unique and distinctive flowers to bloom in our climate. 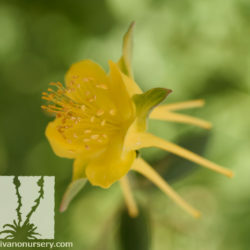 Appearing in abundance from late spring until fall, cheery yellow flowers rise above the lacy green foliage to show off elongated, nectar-collecting spurs that protrude from the back of each petal. 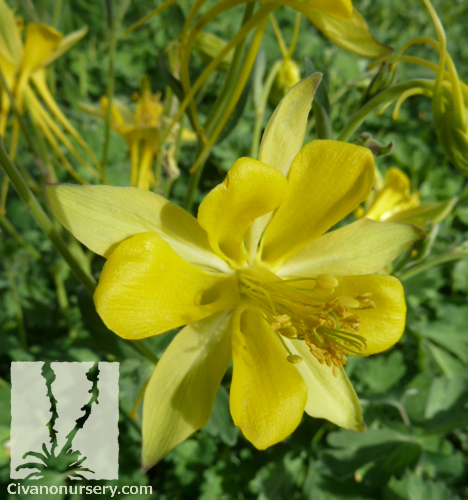 Extra nectar means more food for the hungry hummingbirds and butterflies that congregate wherever one of these herbaceous perennials is planted. 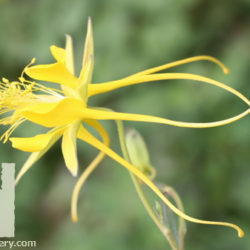 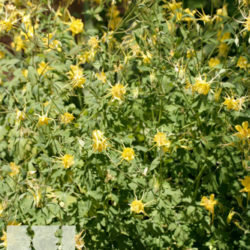 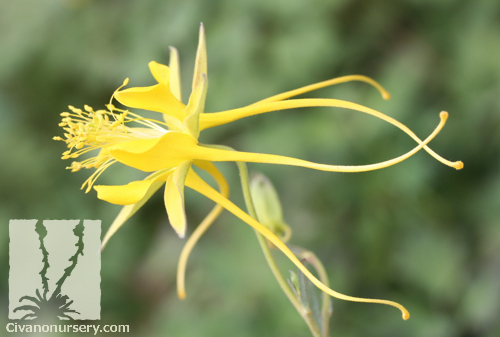 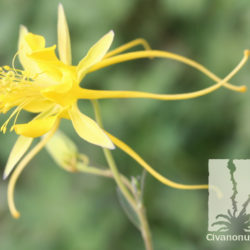 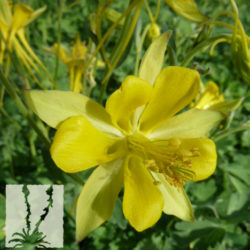 Golden Columbine is remarkably cold hardy, resistant to mildew, and tolerant of damp soils. 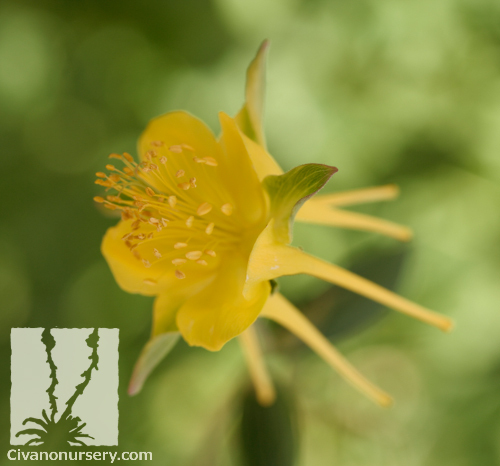 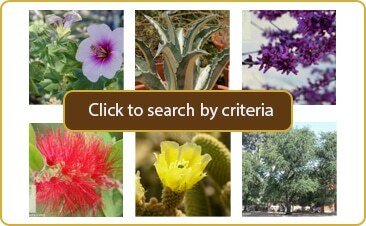 In our region, it looks best when grown in afternoon shade and given ample water, but it also grows well in full shade where it tends to be slightly less thirsty. 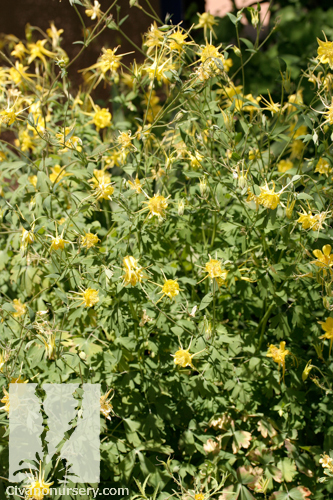 This compact but graceful plant is the perfect addition to perennial beds and borders, and it looks lovely in containers, too!